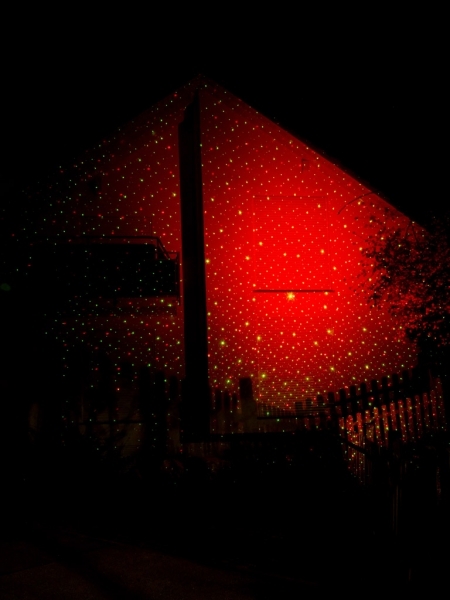 A new red and green multipoint laser effect with hundreds of rotating laser dots has been released in combination with multicolor LEDs. 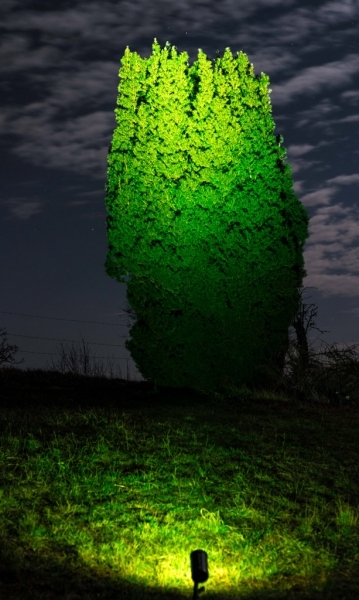 The combination of laser and LED adds effects plus ambient lighting to gardens or balconies, to projections on trees, plants, walls, facades and can particularly be used to highlight garden parties. 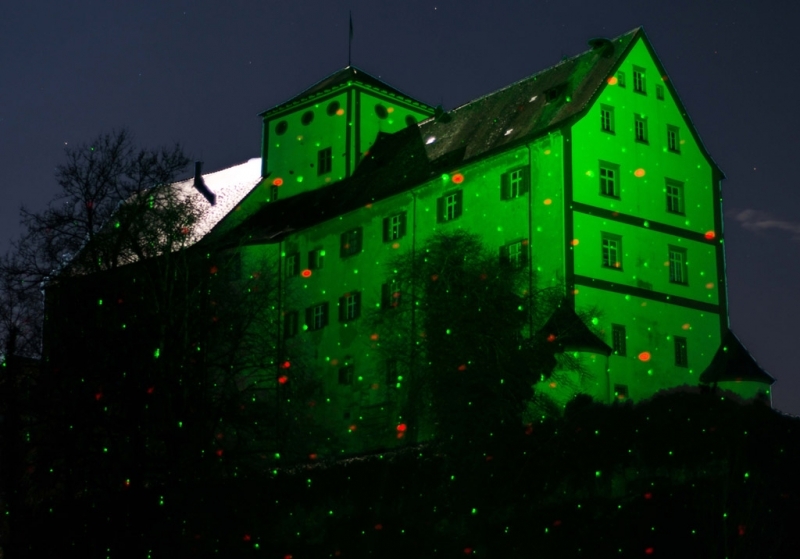 LED and laser harmonize very well: while lighting a large-area background in luminous colors with four 3W LEDs, the laser output generates special effects in red and green. 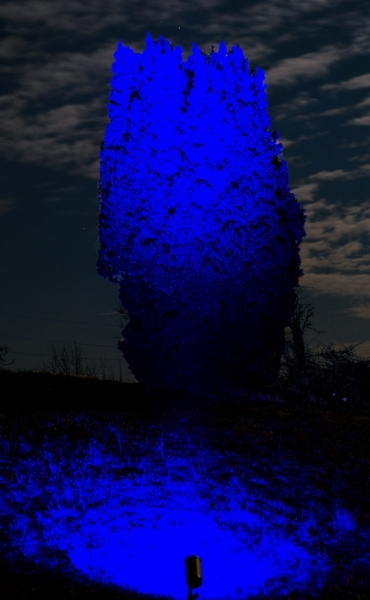 Because of high LED power and a low distance loss of laser output, objects can even be illuminated from farer distance. The IP65 waterproof housing of the garden laser projectors allows placing them outdoors or even next to ponds or pools. 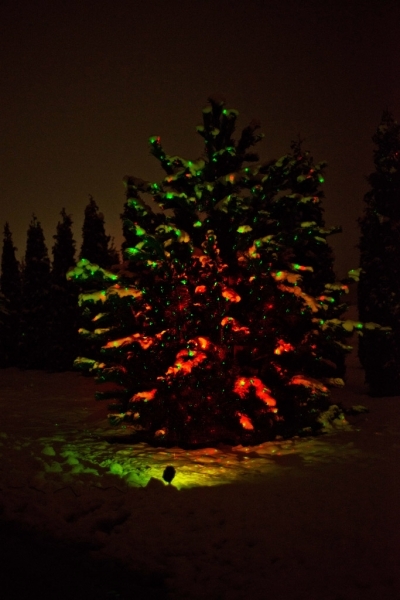 Because of the durable housing the GARDEN STAR LED is ready to use even in winter for e.g. 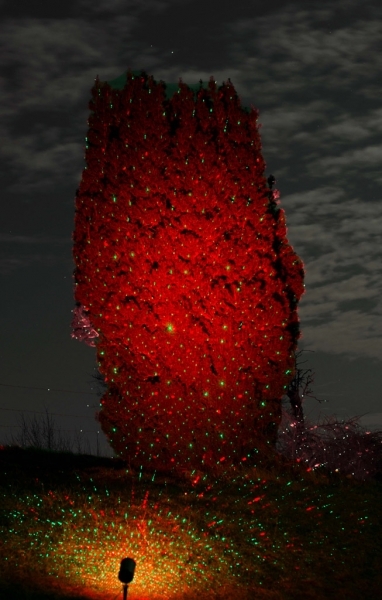 Christmas, on rainy days or at Halloween: The operating temperature range is specified between -20°C to +40°C. 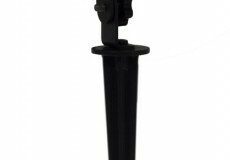 An aluminium stake for easy mounting is also included in delivery. 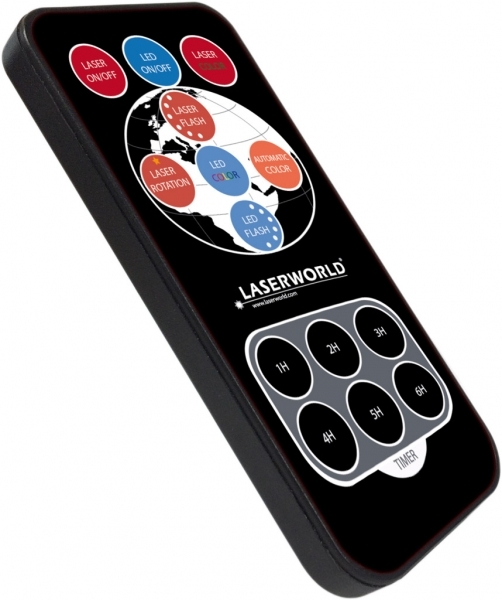 A remote control allows for changing colors of the LED and laser output individually. It is also possible to set the speed of the effect and the timer feature.